Surprisingly to some, Tesla is the first successful American automobile start-up in more than 90 years. After taking that into consideration, the new Tesla Model S 100% electric luxury sedan can be considered a true American marvel that has the market’s best battery range at 265 miles. 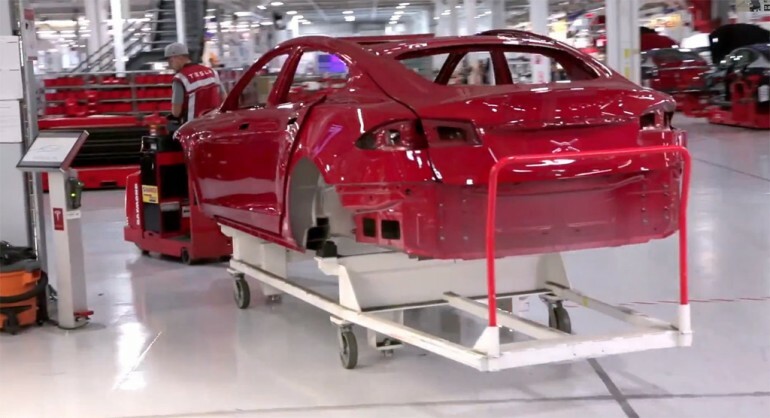 Tesla is on track to build 20,000 at the production facility this year alone. The exclusive video below gives us a glimpse of where and how the new Model S is built.